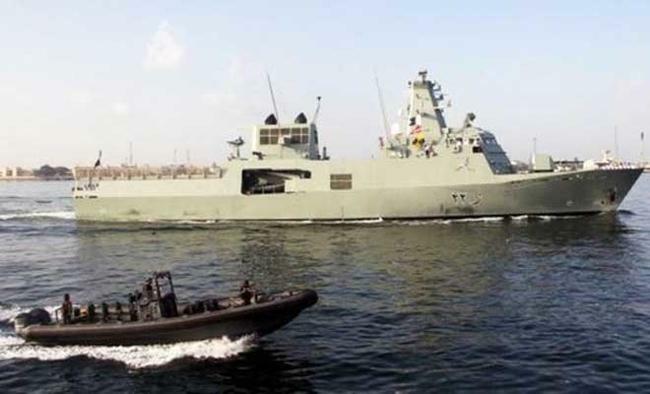 Karachi: Two ships of the Royal Oman Navy have arrived in Karachi to conduct a bilateral naval exercise "Thamar Al Tayyab" with the Pakistan Navy, which is the eighth in the series, an official said on Tuesday. Upon arrival at Karachi Port, the visiting ships Rnov Al Sadh and Rnov Al Bushra were given a warm welcome by senior officials of Pakistan Navy at an impressive ceremony, the Pakistan Navy said in a statement. The exercise which comprises "harbour" and "sea" phases, is a regular feature between Pakistan and Omani naval forces. The harbour phase is currently in progress and consists of various calls on, mutual exchange of visits to ships, table-top discussions and harbour training serials as preparatory warm up for the sea phase. The visit and joint exercises are aimed at improving inter-operability for conducting combined maritime operations to ensure a stable maritime environment vital for economic stability and growth as well as ensuring peace and security in the region. It will further enhance the level of coordination and understanding between the two navies, both, at operational and tactical levels. The exercises will continue till December 15. "The visit of RNO Task group is a testimony of Pak-Oman friendship and will enhance the interoperability and cohesion between the two navies," the statement added.